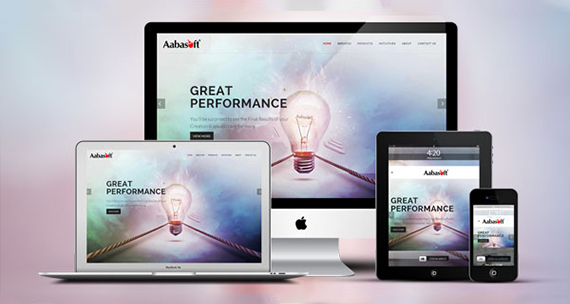 “ Transform your business with the power of WEB ” is the motto of Aabasoft Web application wing. We are capable of building small business websites and top –notch corporate e- commerce web portals using the latest technology. Shopping carts, product customization environment, CRM modules, CMS, CHAT modules, responsive web solutions etc. are few examples. We worked for more than 500+ clients globally thereby enabling their business to the world. Our sites are always compatible with the present changing devices and platforms. We develop websited which are responsive in all devices. We have shopping carts which are customizable and personalize according to a customer's needs and requirements. We deliver high standard Enter Resource Planning softwares which can be implemented in large firms with massive data inflow and processes. The websites and web products we deliver strictly adhere to the quality . We assure high performance with accuracy and speed. The designs that born in our designer hands are mind blowing and attractive with their creativity and innovative spirits. Cloud computing is rather new technology for the Website and Web app developer this internet-based computing, whereby shared resources, software, and information are provided to computers and other devices on demand, like the electricity grid. Thus hosting your website in a fluid environment gives you amazing flexibility to scale upwards while comparing to the traditional server based websites. In case of apps the cloud scales along with your app, whether your app is being served to 10 users, or a million users. Websites nowadays has become one of the most essential parts of an organization aiming to reach its target customers. Approximately all business in every industry has an online website and each one needs development and maintenance as innovation and progressions in technology and dependence on the internet growths.We understand that each company has their unique requirements from the designing point of view. In spite of the complex functional requirements, we seamlessly fuse eloquent design strategies and aim at high quality, cost effective, mission critical web designing that acts as a bridge between the user and the technology. More than just simply building websites, we help our clients define their organization's goals, and most importantly – achieve those goals through their web presence. 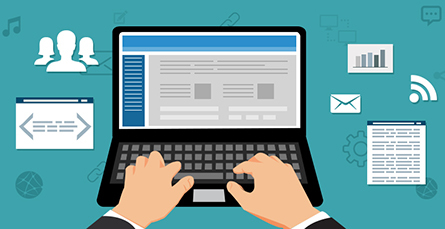 Web hosting is nothing but the internet hosting that allows the individuals and organization/businesses to make their own website to mark their online occurrence, so that they can easily get to the public through internet. The main things needed for a website to be hosted are the web space and the Bandwidth. Web space is nothing but the space where the website files, images, HTML codes are stored. If the website is heavier means you need more space to store your content. Bandwidth is nothing but the amount of data that can be moved to and from a website or a server.We are one of India’s largest Web Hosting Provider. 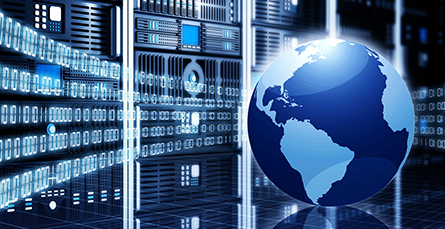 As per your needs we can offer you Windows or Linux Hosting with a database of your choice. We offer Uptime Guarantee of 99.9% and many add on applications. Our Cheap Web Hosting is ideal for personal, small and medium business. We also offer dedicated server and virtual dedicated servers as they are ideal for users/ businesses who want to upload multiple websites. We at Aabasoft, offer you a choice between our Standard Open Source CMS Solution and Professional CMS Solution. We have the expertise and knowledge in various CMS like Drupal, Joomla etc, which gives us the flexibility to provide you with solutions and a professional user interface according to your requirements. When you house your Web server hardware, application software, and networking equipment in one of Aabasoft’ world-class data centers, you can rest assured that you’re working with one of the most experienced co-location hosting providers in the industry.Our CMS portals are designed in such a way that the user doesn’t get a feel of mere content adding portal. Each CMS applications we develop will have it’s own unique features and characteristics. The security aspects of the portal will be implemented in such a way that nobody can easily access the data. Aabasoft has a team that uses the updated latest technologies in ASP.Net, java script, C#, JQuery, VB, SQL server, HTML pages, MS SQL, SQL server management , database monitoring, and in testing of websites. We offer the best web solutions service among the companies in Kochi, Kerala, India. 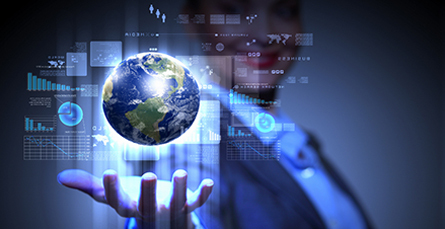 We have more than a decade of experience in development, implementation and hosting of web application. The CMS we create have more and more updated features. We update our system product-by-product we release. Our team is growing day by day with the idea in vast field of technology. We also use cloud technology in managing the applications. The users are able to access our applications from anywhere in the world. We use cloud computing and cloud storage services in mobile application development. In Aabasoft, we develop the web applications which are very user friendly with attractive User interfaces. We always care to put the friendly URL. We are also particular in implementing the SEO techniques and have an intention of bringing the particular site among the top rated search results. We also give service of promoting our customers websites and application through the channels we can especially via the social media networks. We have a team to do the promotion of products we develop and release out. At any cost we are in front of you to satisfy all your software related or service related issues. The product we release will have the maximum quality and speed to compete with the different parameters of search engines.